ISPG pioneered Irish Organic Salmon Farming on the west coast of Ireland. Organic Standards for salmon require farming conditions to be as close as possible to nature, having regard for food safety, animal welfare, and environmental sustainability. 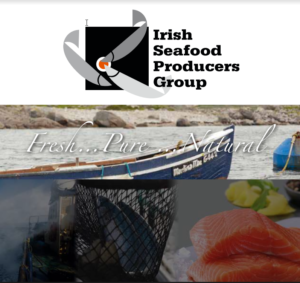 ISPG working in close co-operation with its producers pioneered Irish Organic Salmon Farming on the west coast of Ireland..
ISPG is a verified member of the Origin Green Sustainability Programme. Created by Bord Bia, Origin Green is Ireland's national food sustainability programme. ISO 9001-2008 accredited, ISPG is dedicated to delivering the finest quality product to our customers, satisfying the criteria of their specifications and highest industry standards. Each shipment of fish is accompanied by a comprehensive product traceability sheet which details the life history of that batch of fish. For the Irish Seafood Producers Group, two factors are paramount to maintaining the superb reputation of Irish Organic Salmon: quality of the..
We at the Connemara smokehouse have dealt with ISPG for many years and find the quality of their fish to be very good. Quality is the most important thing for us in our business and it is so important for us to have suppliers that we can depend on. ISPG are very good to deal with and are able to provide us with the high specification that we look for. I would have no hesitation in recommending ISPG to anyone looking for high quality organic salmon." - Graham Roberts, Connemara Smokehouse. "ISPG has been instrumental in helping Whole Foods Market UK set up a profitable partnership with an Irish farmed salmon producer. They helped us coordinate, communicate, and navigate our complex audit process with this supplier to insure this top quality salmon met all of our quality standards."